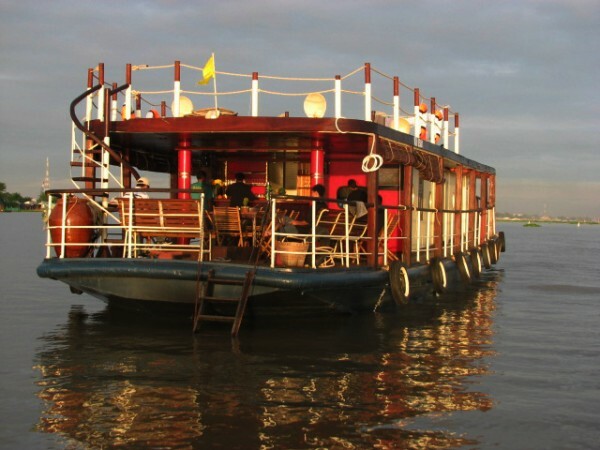 Mekong Tcharokaa cruise is one of deluxe cruise in Mekong delta. 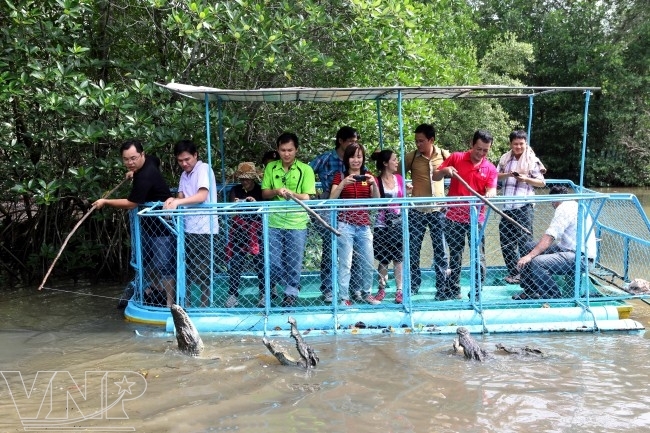 Enjoy Mekong Tcharokaa cruise, you can relax and discover the interesting things of Mekong delta. 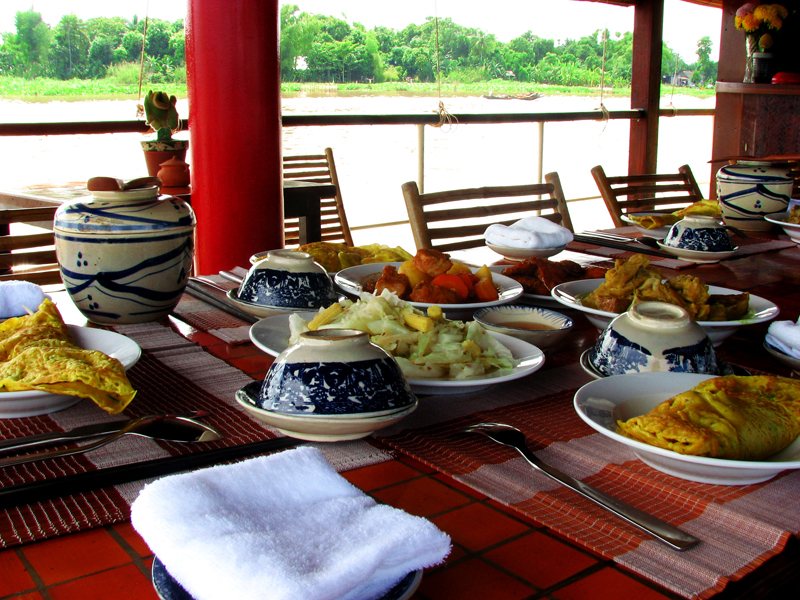 This is in front of the day life of the Mekong that you will enjoy on the deck a typically Vietnamese cuisine as generous as sophisticated with a southern accent. You could see further away into the arroyos if you will get to the upper deck. 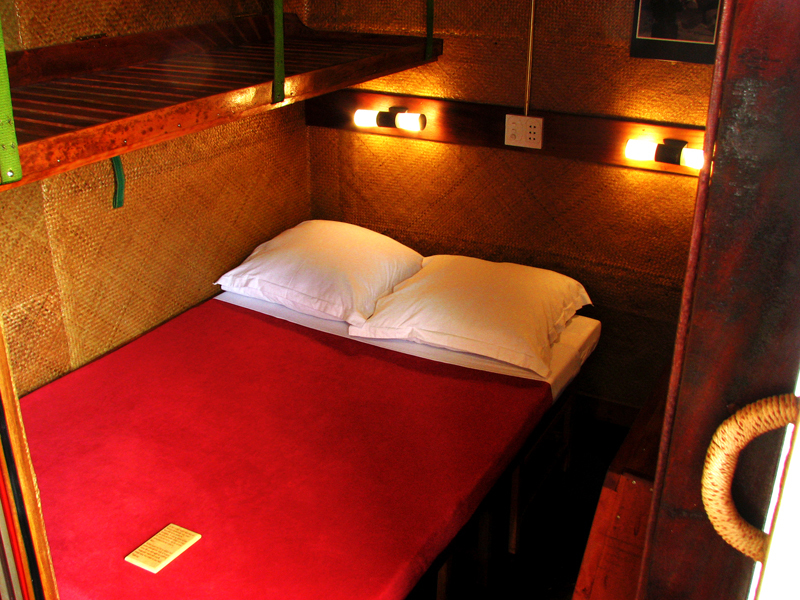 Massages are also available on board. You get Board of our cruise ship Tcharokaa in My Thuan around 11 AM. Sadec is a town particularly rich in colonial architecture: most of its beautiful villas still in good shape reflect the pas splendor in Cochinchine. You visit the Chinese house of Marguerite Dura’s lover, the school of her mothr, a Cao Dai temple and a bonsai garden. 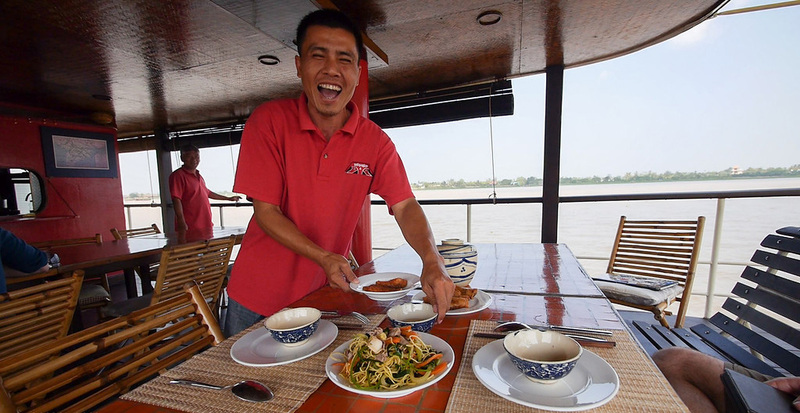 Lunch on board the boat and then we sail to Vinh Long. 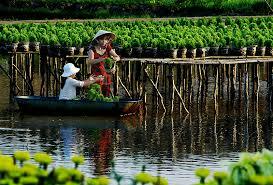 Stop to discover cycling the island of An Binh, waving its many orchards, gardens, pagodas and his daily life. Back on the boat at sunset for an aperitif. 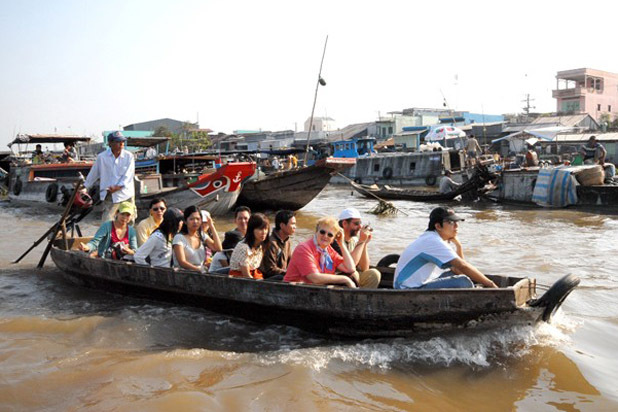 After breakfast, a small Sampan takes you in the heart of the floating market and then the land one to discover lemongrass, saffron, coriander and other local spicies, vegetables and fruits. Landing in the early afternoon. 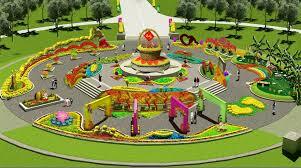 Note: Lunar New Year (5 days: 28th, 29th of 12th lunar mother and 2nd, 3rd, 4th of the 1st lunar mother): 20%. 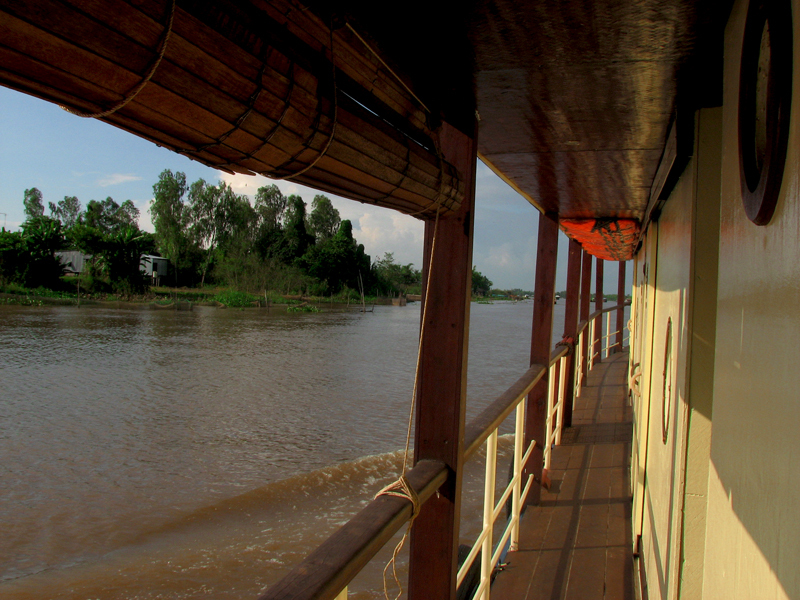 From Sadec to Vinh Long through Long Xuyen (cruise of 3 days 2 nights). 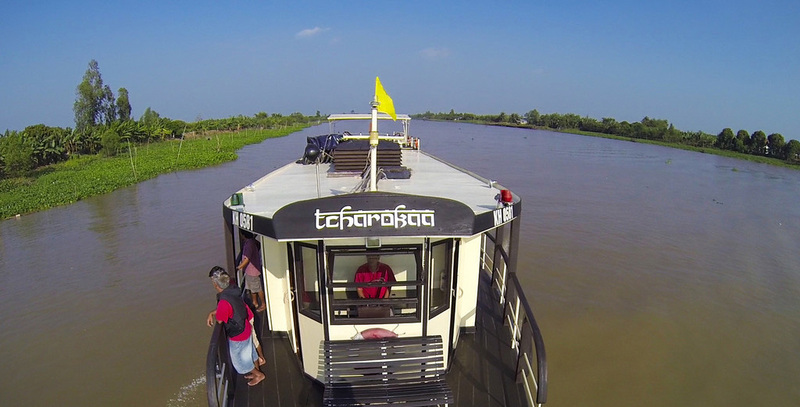 You get Board of our cruise ship Tcharokaa at around 11 am. Your first stop is Sadec, a town particularly rich in colonial architecture: one of its beautiful villas still in good shapes reflect the past splendor in Cochinchine. 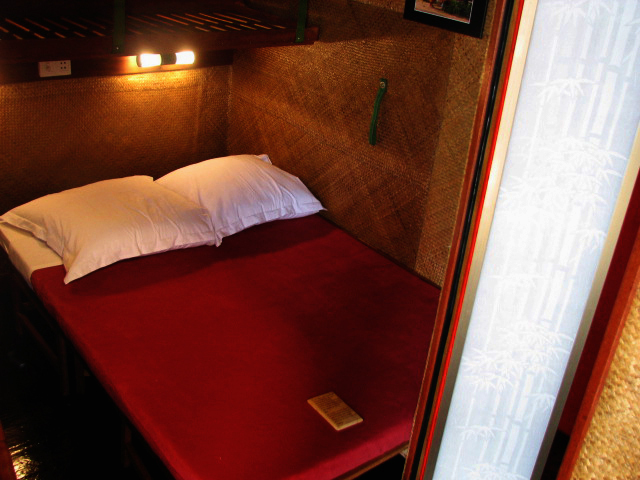 You will visit the Chinsese house of Marguerite Duras’ lover, the school of her mother, a Cao Dai temple and a bonsai garden. 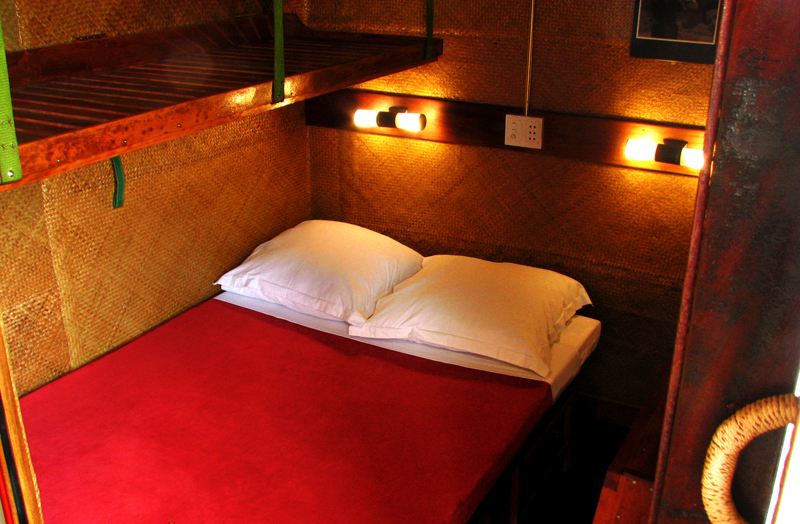 The boat will then cruise to Long Xuyen and stop in Ong Ho island, the island of tiger by bicycle or walk. 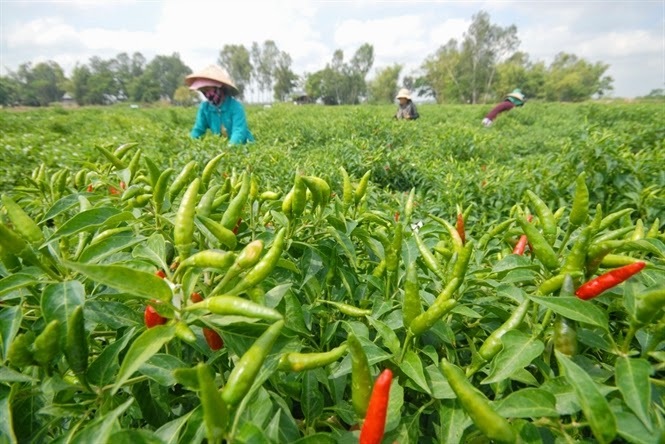 You have the chance to see some traditional houses, learn more about the traditional handicraft and farming activities of the local people with Khmer origins. Back on the boat for sunset. 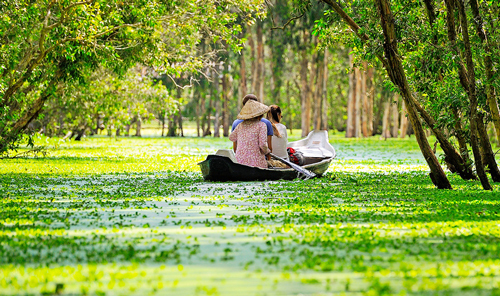 After your early breakfast, a small sampan bring you to the floating market in Long Xuyen and then to the mainland to visit the local market. 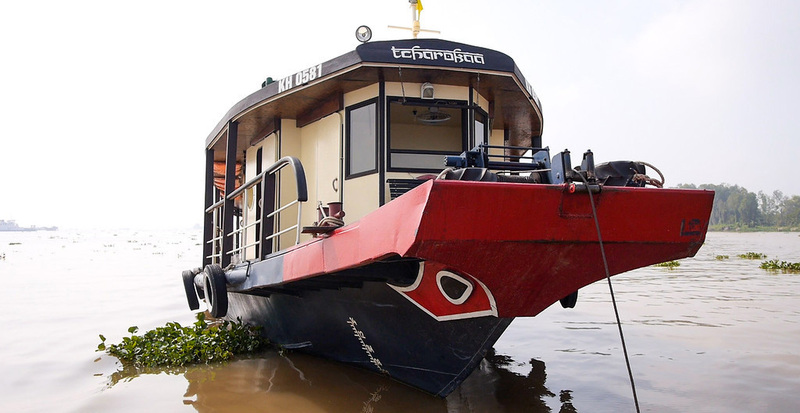 Then Tcharokaa will take the way down to Vinh Long where it will be anchored for the night. After breakfast, you discover by bicycle or walk, the island of An Binh, many of its orchirds gardens, its pagodas and its daily life. 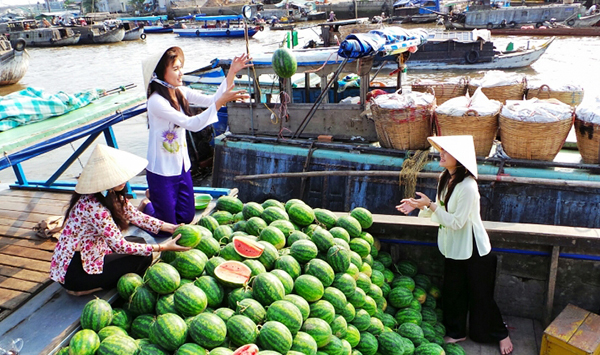 Then motorboat we drop anchor at Vinh Long to visit the market, the opportunity to taste many tropical fruits (mango, mangosteen, jackfruit…).